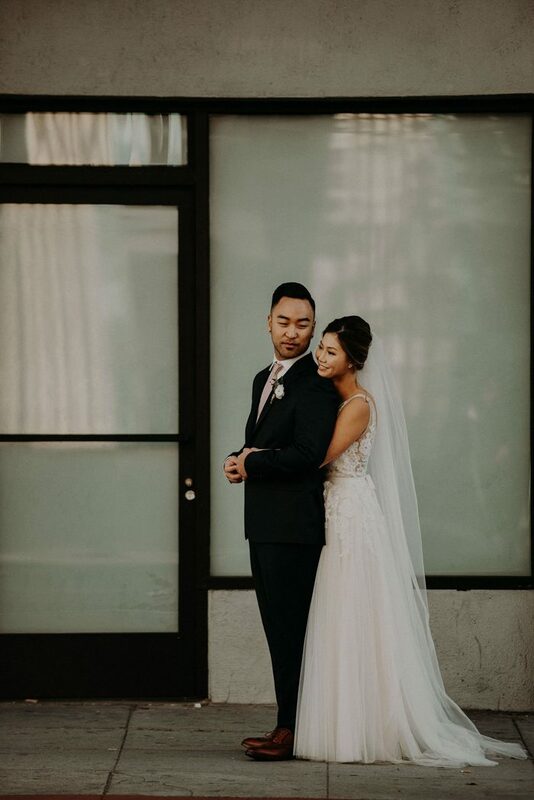 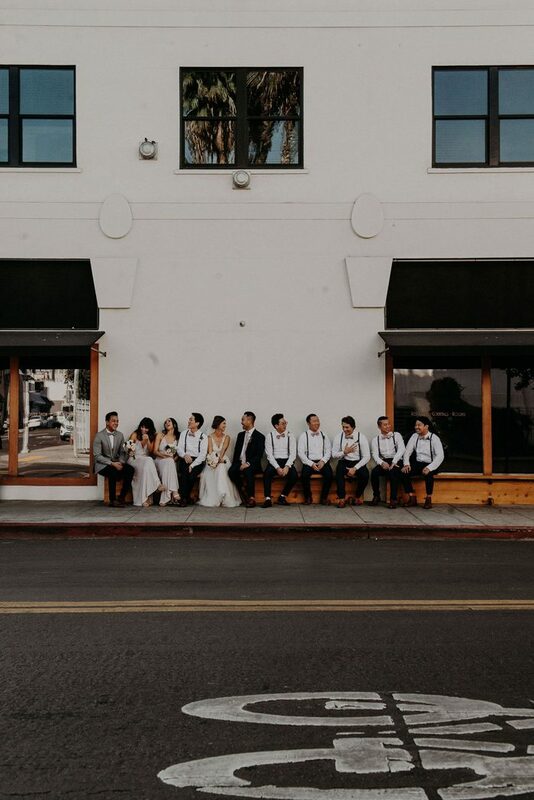 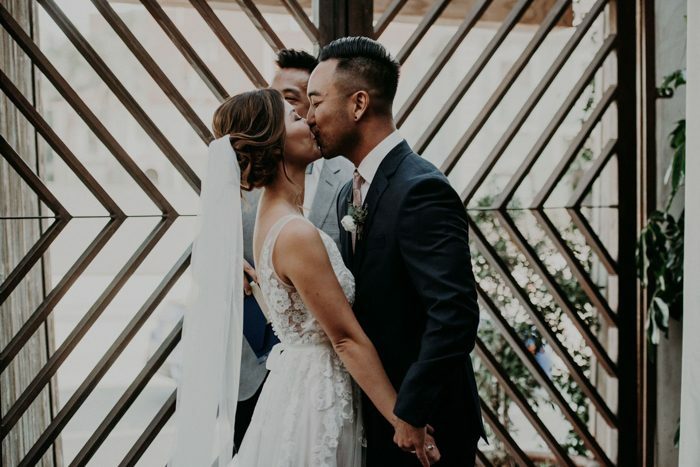 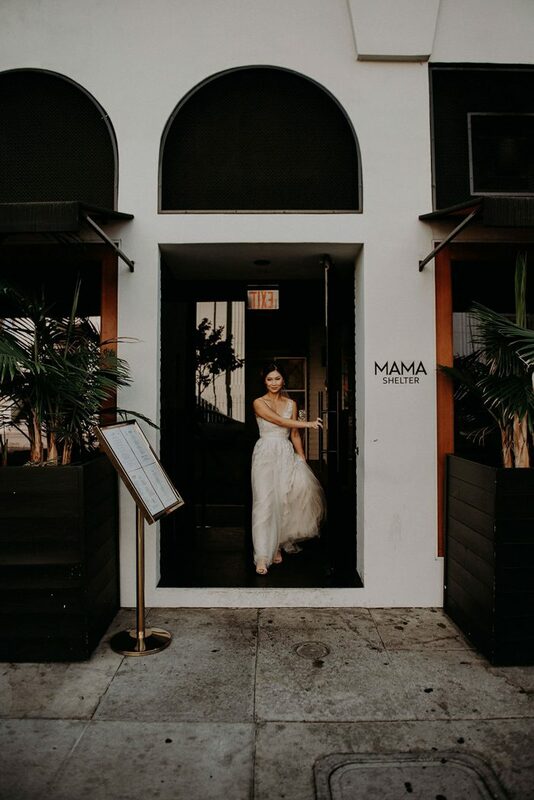 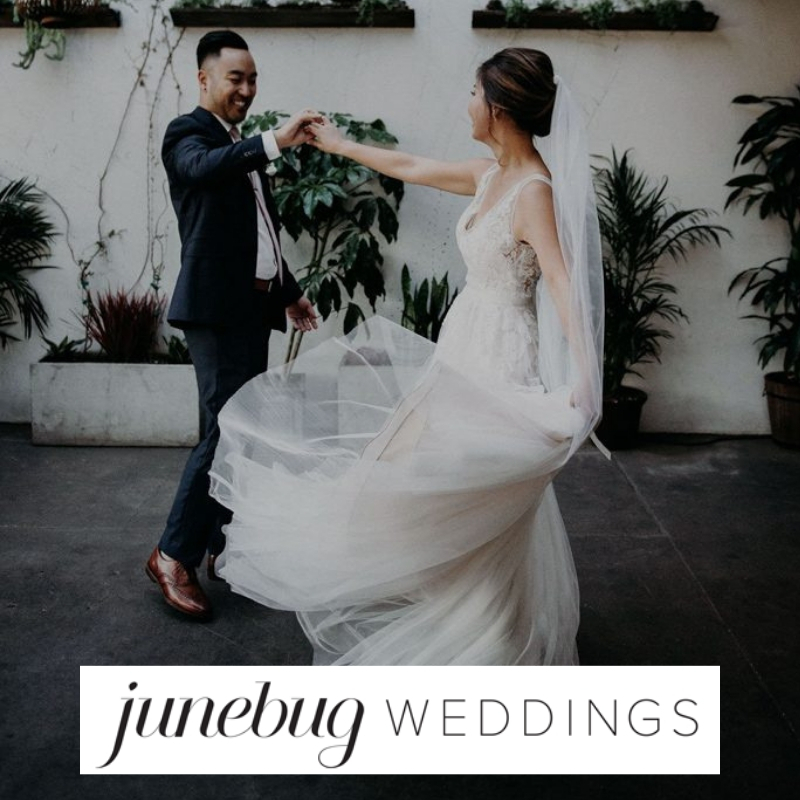 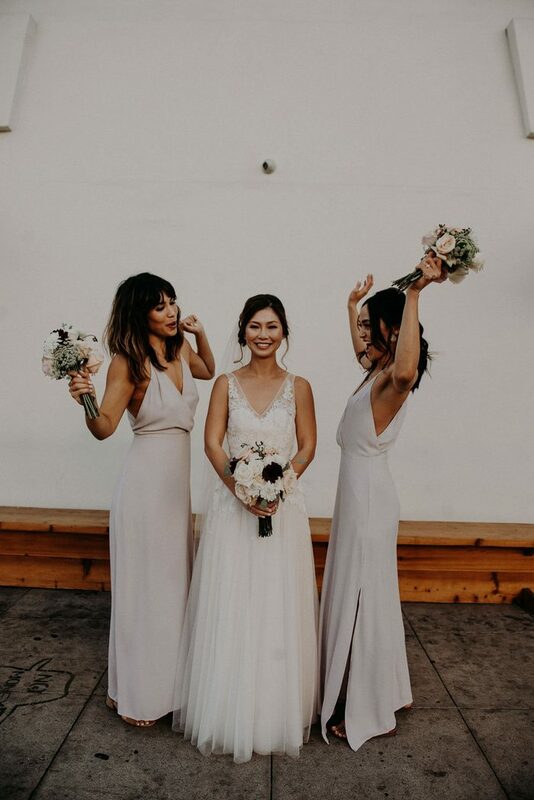 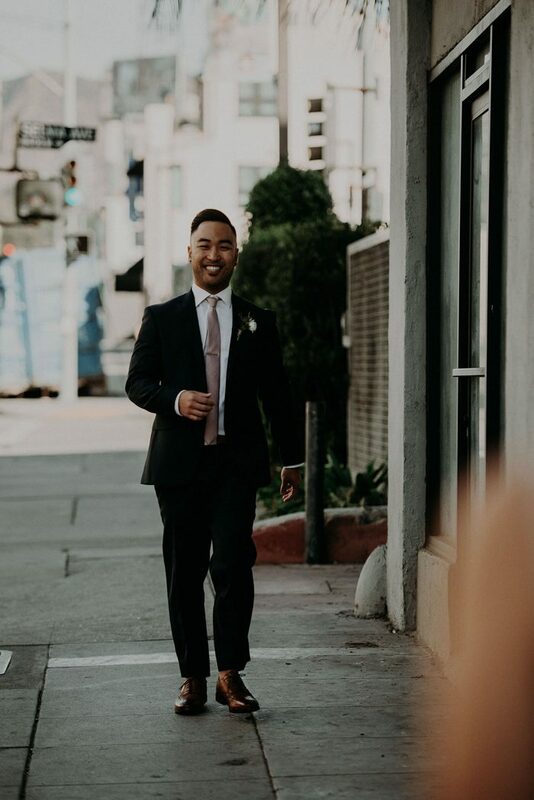 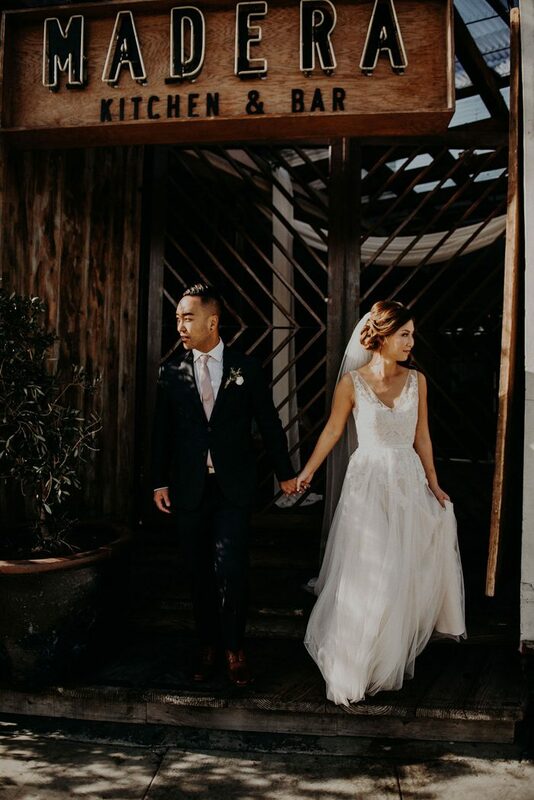 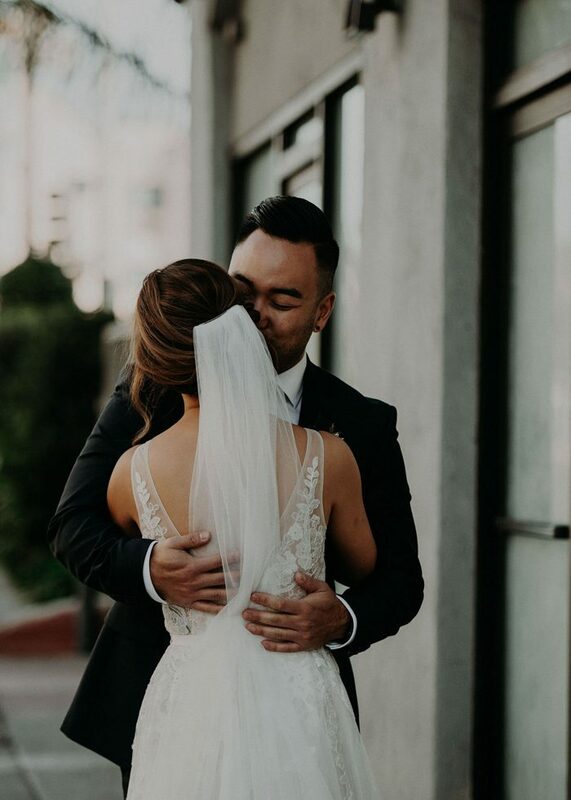 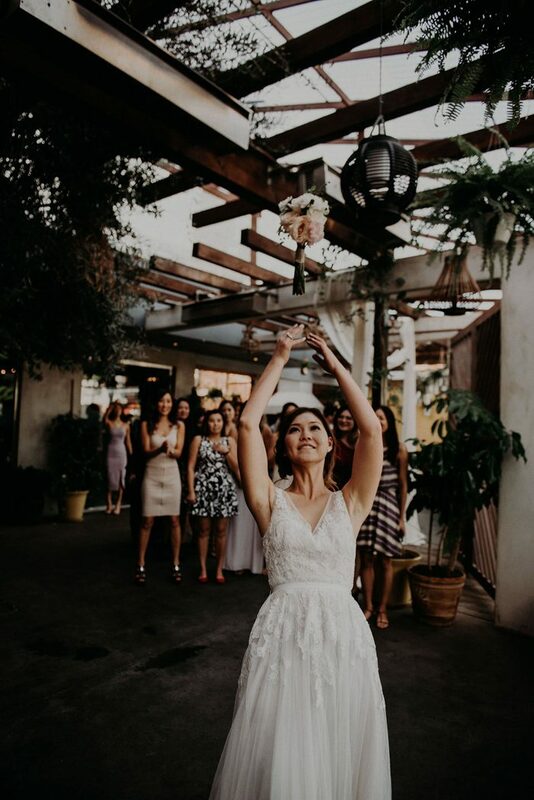 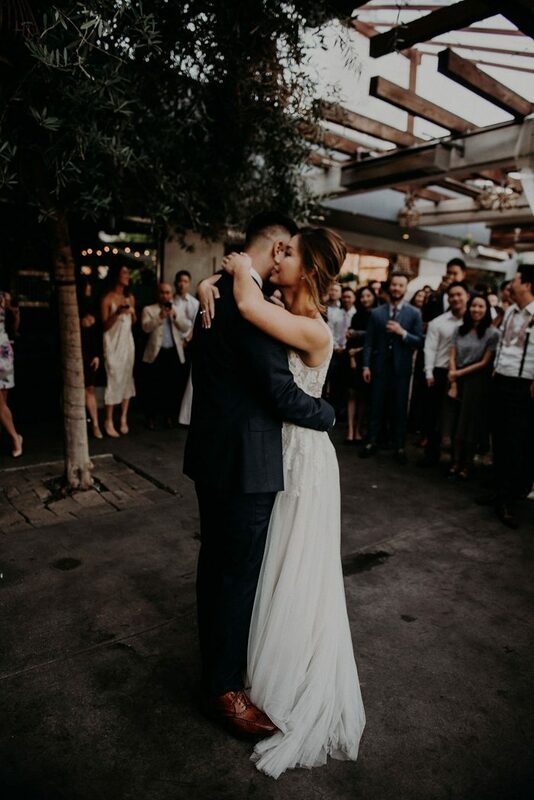 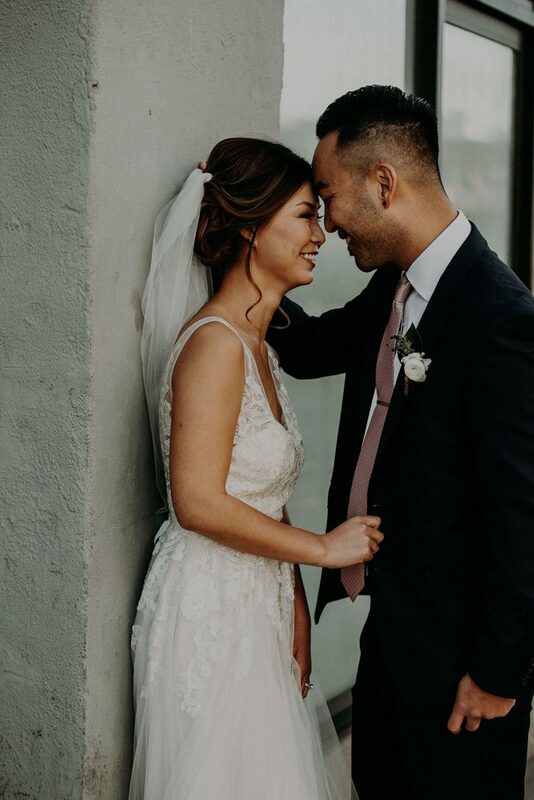 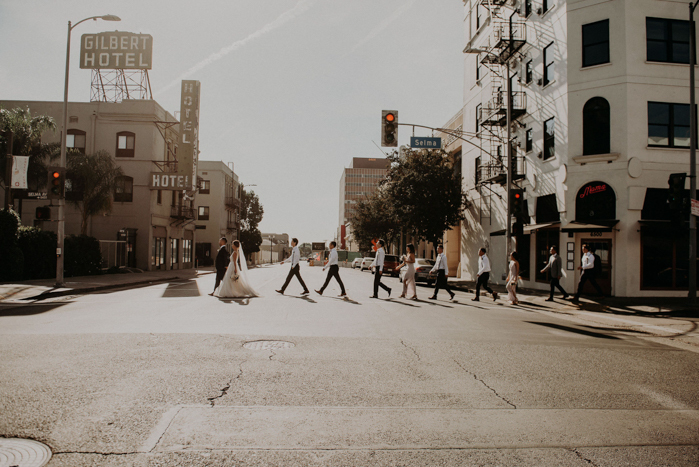 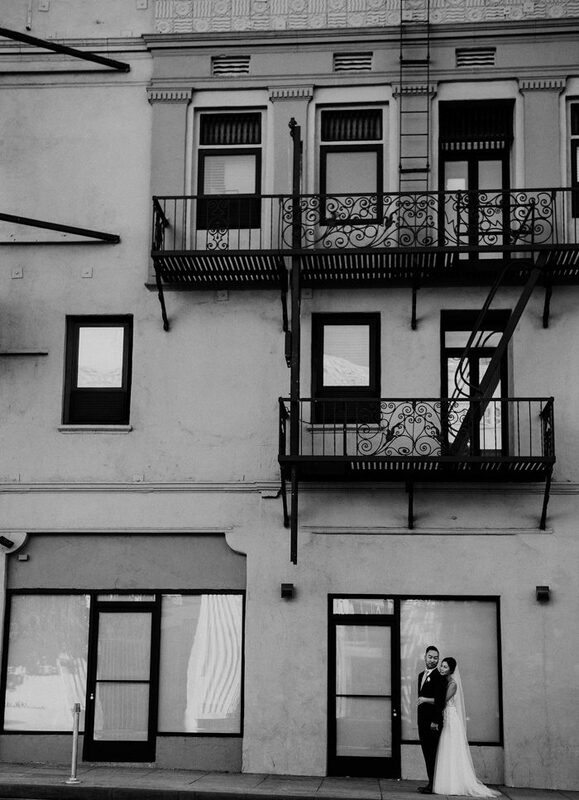 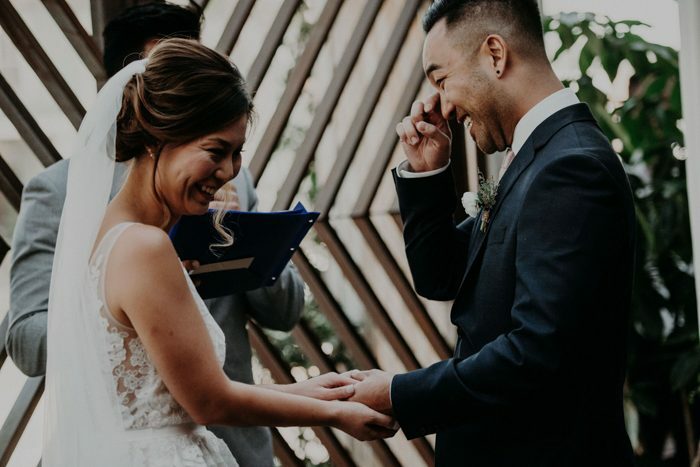 Sue and Theo’s Los Angeles wedding at Madera Kitchen was everything we love about brunch weddings and more! 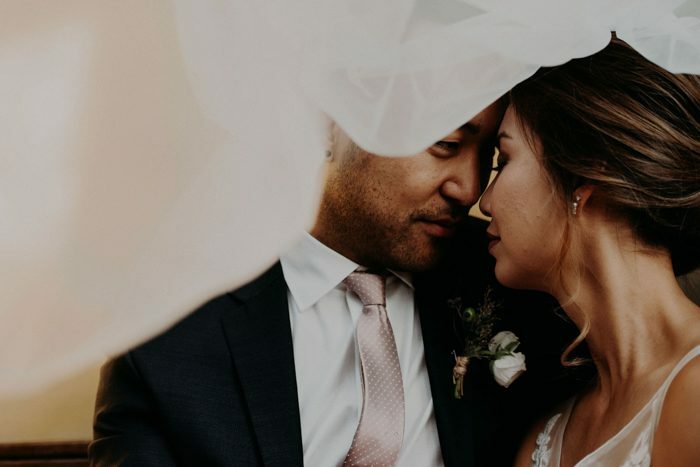 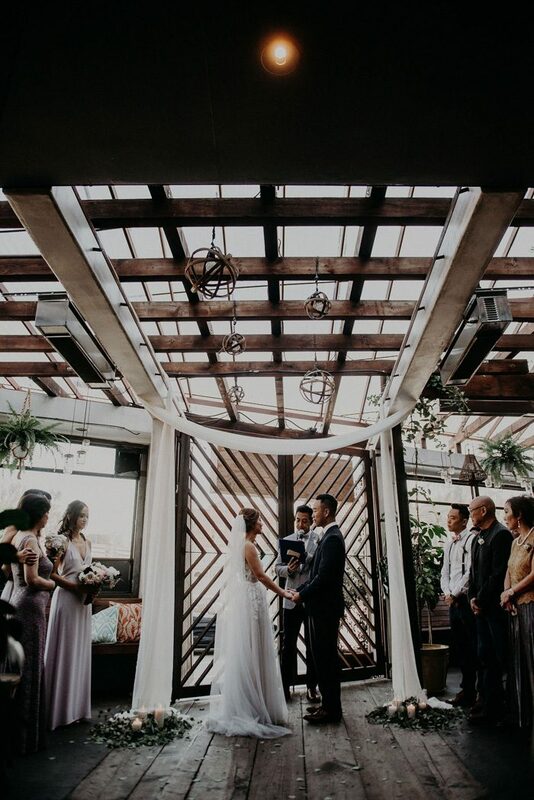 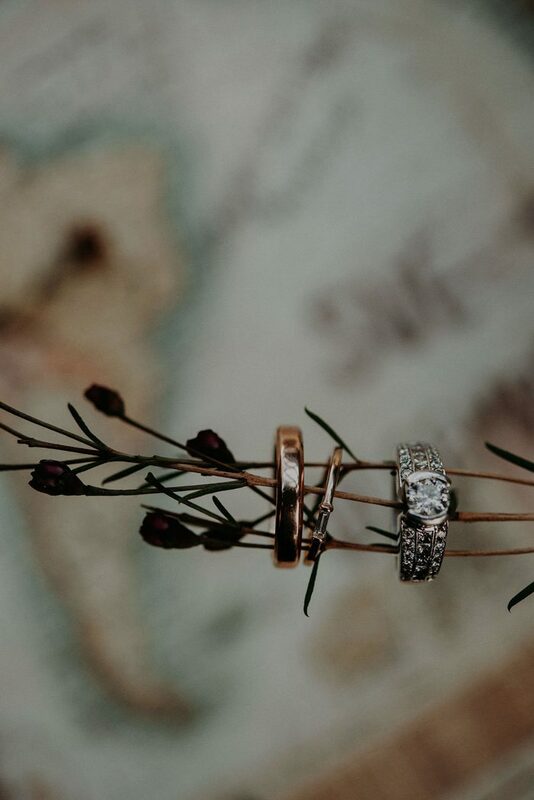 The rustic and vintage vibes of the venue were so charming on their own that the couple only had to add minimal decor to make it feel cozy and personal. 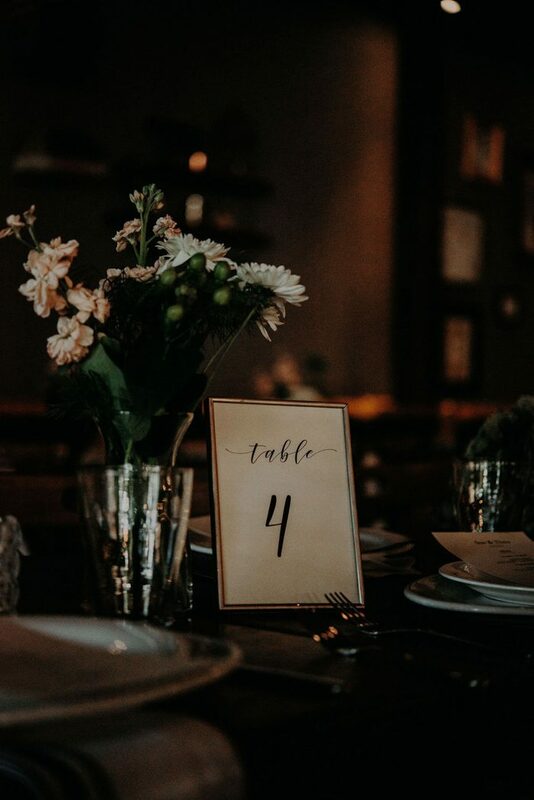 They achieved an elegant look with just the things that felt true to them, such as DIY centerpieces, silver-framed table numbers, and flower-adorned cakes, which made it that much more special for their guests. 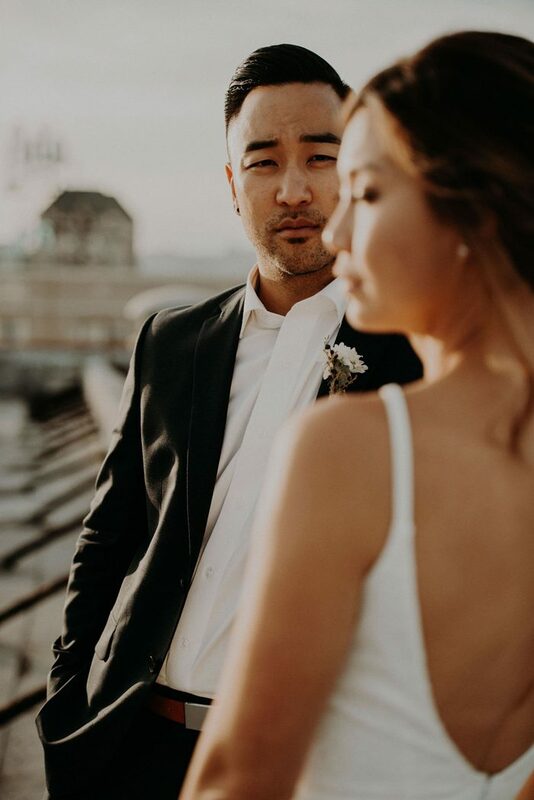 Even after sunrise getting-ready photos, an intimate ceremony, and a food-focused reception, the couple even had time for a sunset photo session with Rubi Z Photo on a private rooftop overlooking the city. 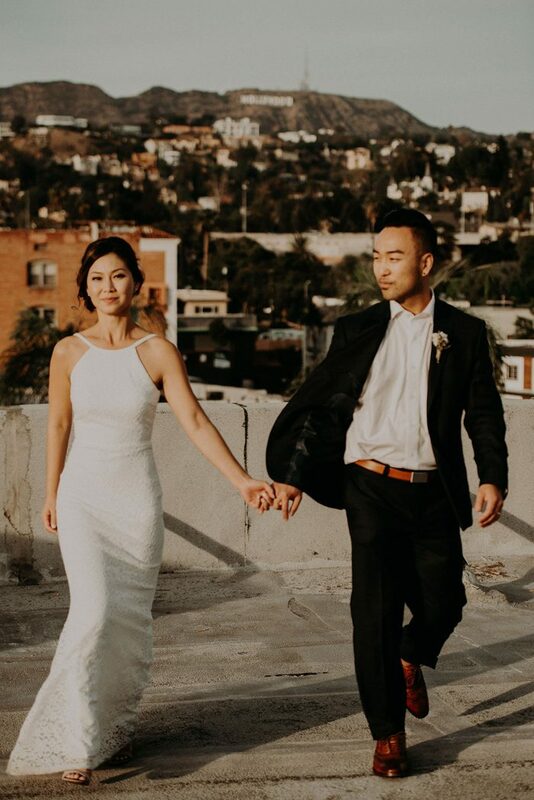 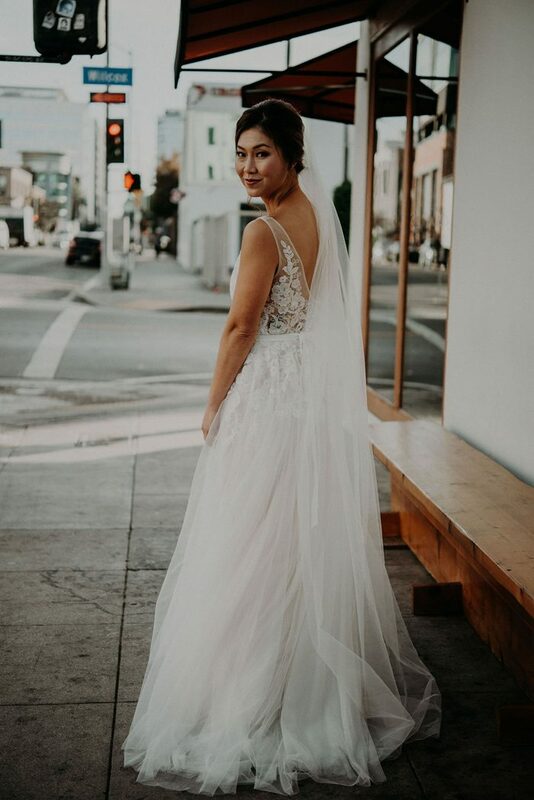 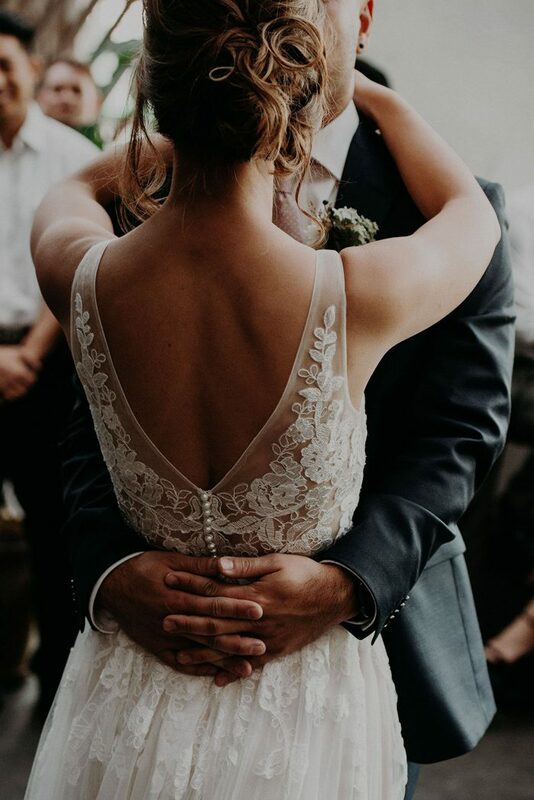 We love that Sue and Theo kept their ceremony and reception looks totally classic and then Sue changed into a sleek lace number for the sunset photos! 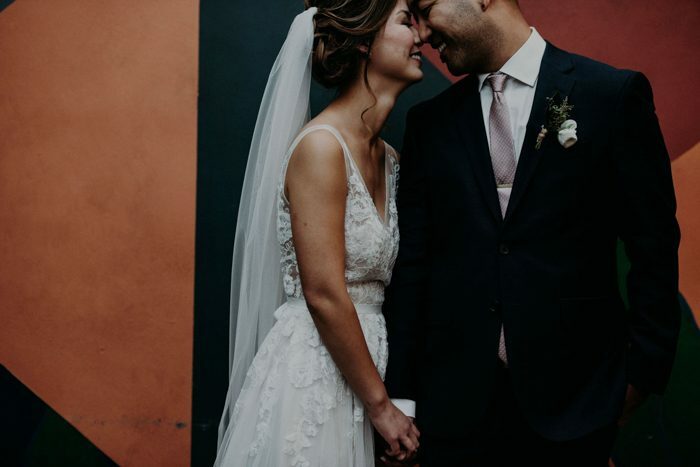 See the full feature by clicking here. 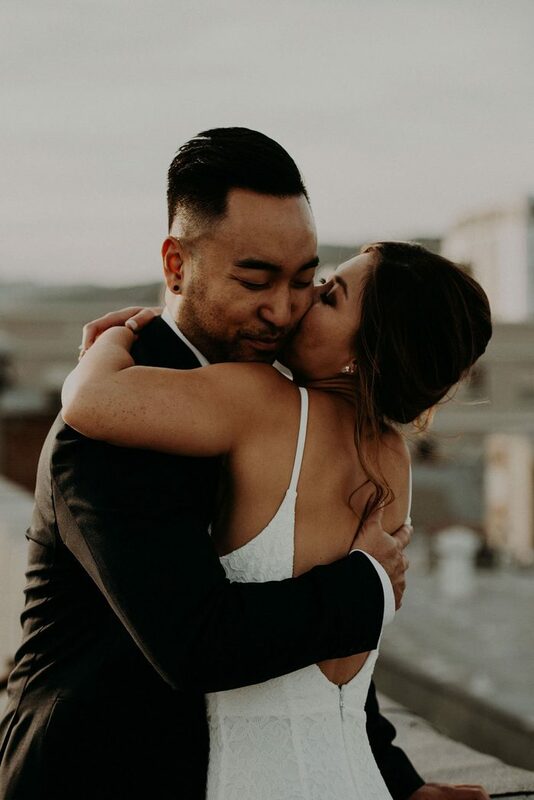 We wanted our wedding to be intimate, relaxed, and fun. 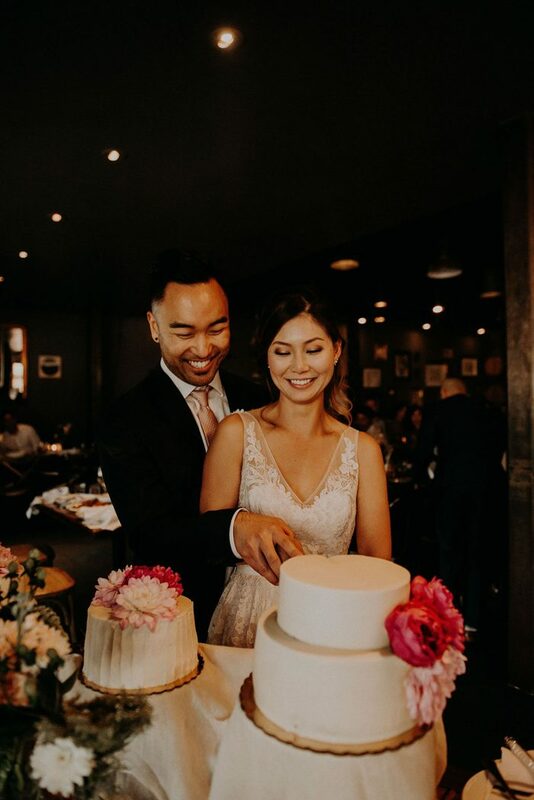 So we decided to have a brunch wedding and it was one of the best decisions we made! 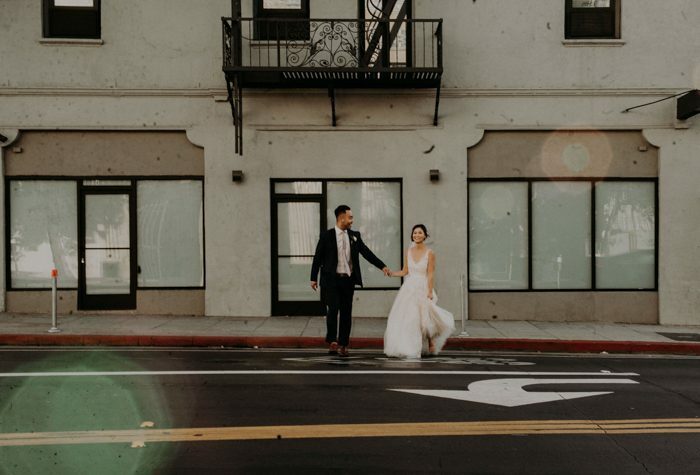 We were able to capture a few pictures during sunrise when the city was still quiet and during sunset, which made the moment feel beautiful and surreal. 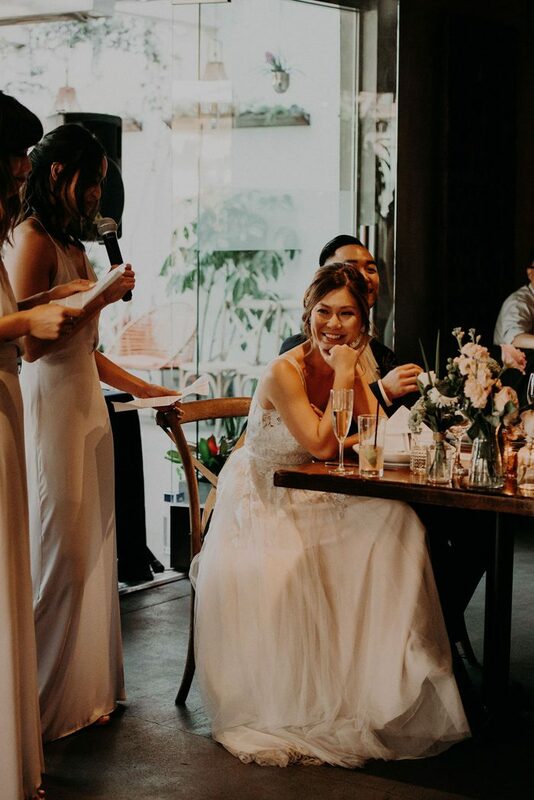 Having a brunch wedding also allowed for our guest to have a fun experience throughout the day and still leave room for more towards the evening after party. 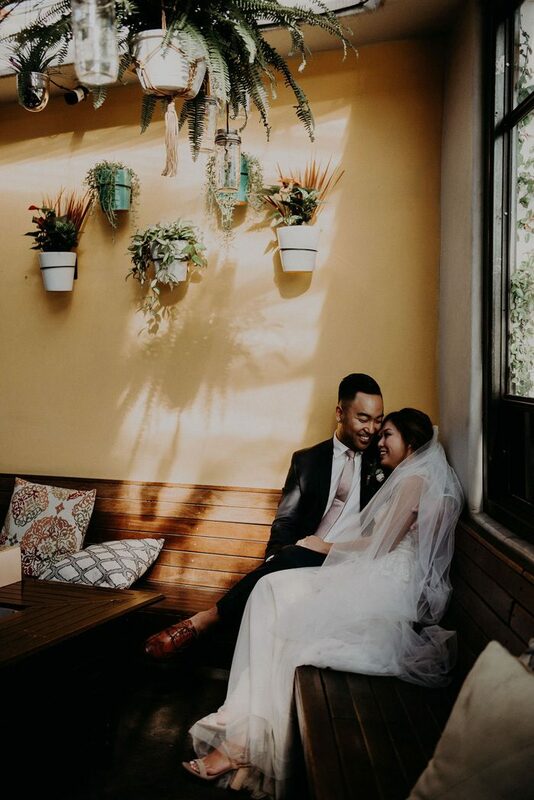 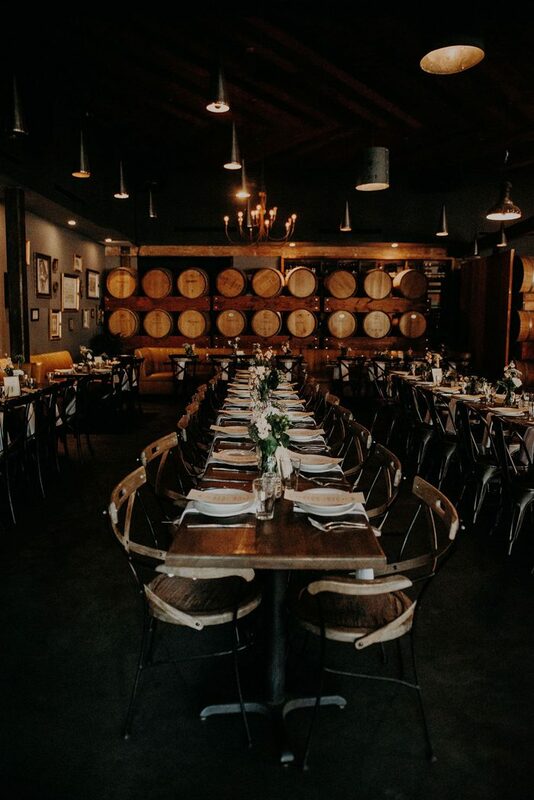 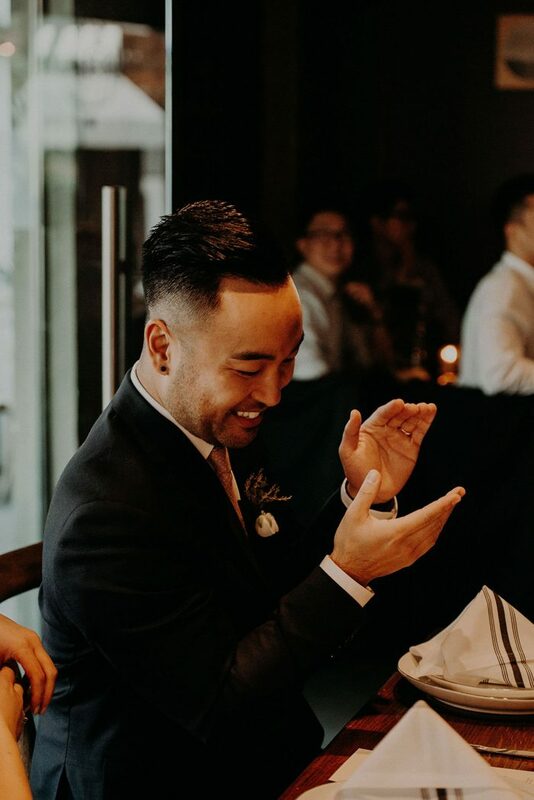 Our wedding venue at Madera Kitchen had the perfect package of rustic and vintage decor along with a floor plan that allowed for our guest size to feel cozy. 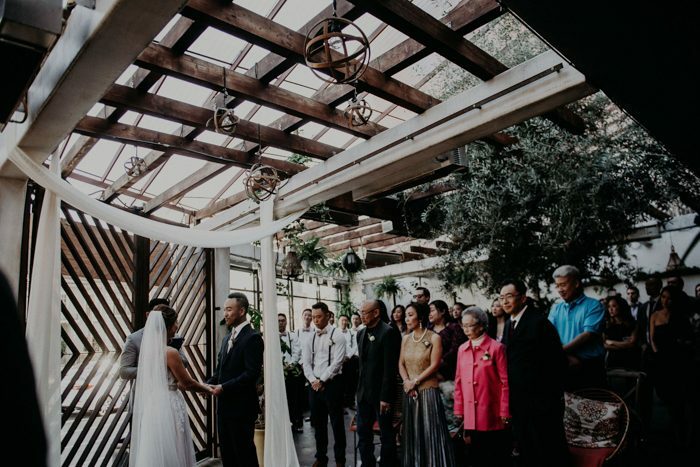 We also wanted our wedding to be during the day so our guests can truly appreciate the decor and enjoy the beautiful Los Angeles weather. 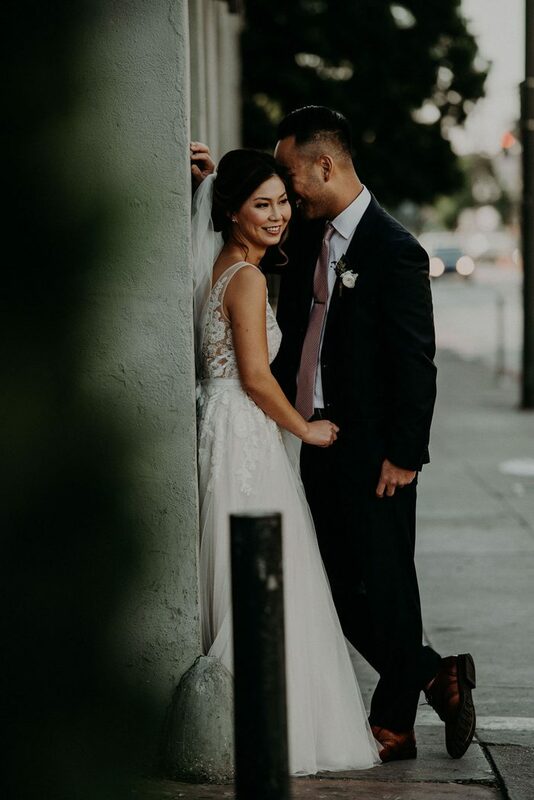 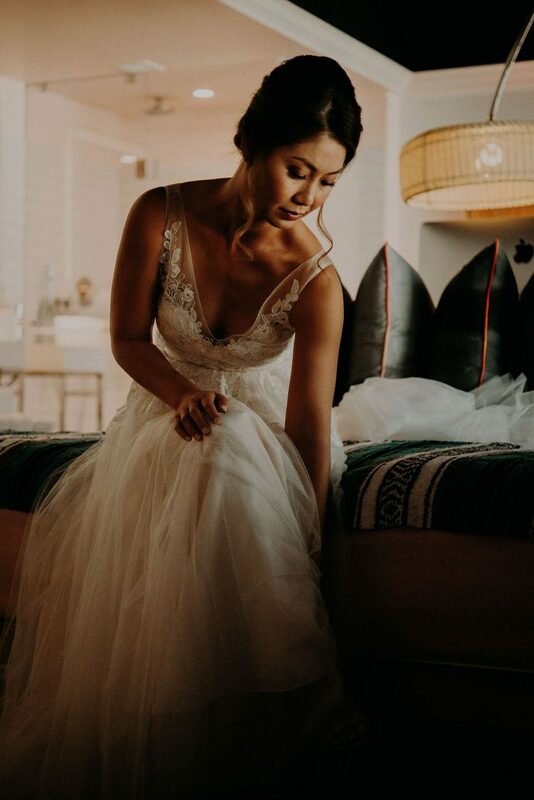 It was important for us to find a photographer who was in line with our vision and style and be able to create a seamless and comfortable experience. 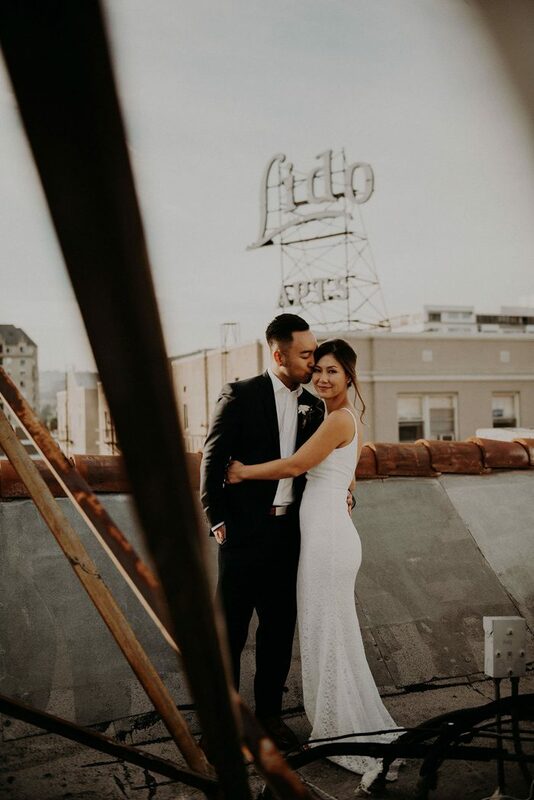 One of the most memorable moments was walking thru the historical streets of Hollywood from our hotel to the venue and having a passerby recommend a hidden rooftop that overlooked the city. 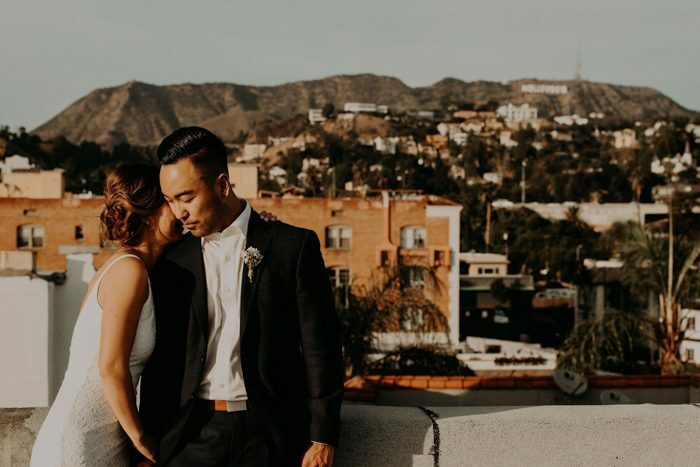 The timing was perfect as it was during sunset and we were able to share a very intimate moment together and capture the most picturesque view of the Hollywood Hills. 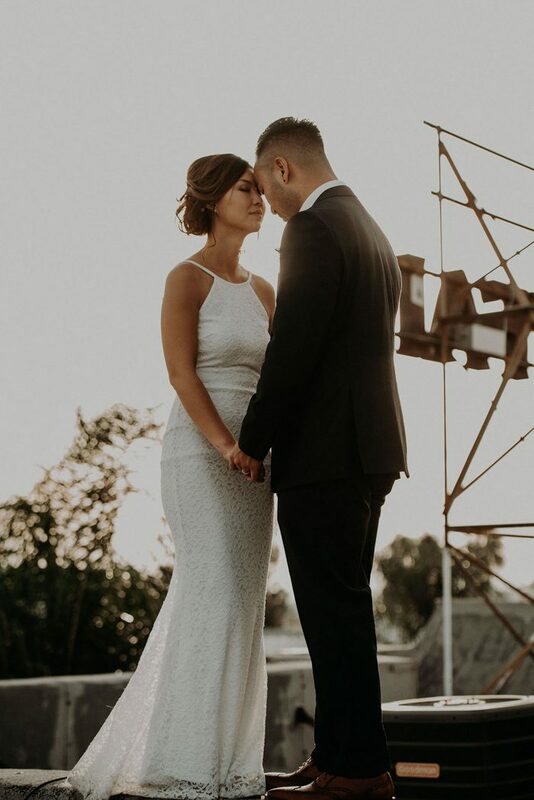 The private access to a beautiful apartment rooftop during sunset for our last set of pictures was a nice surprise. 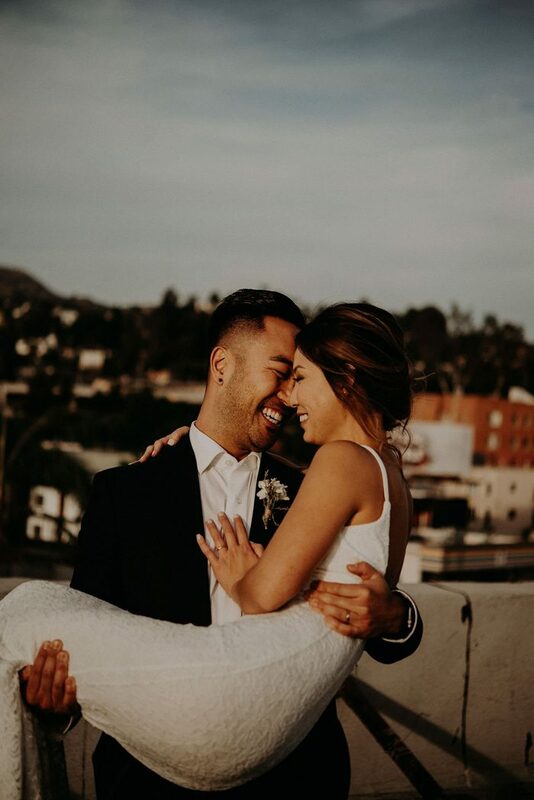 Our amazing photographer made the moment so intimate and special along with all the amazing views of Hollywood Hills as our backdrop.